Hello there! Hope you are well and having a good week? Today I’m popping in with what was supposed to be a ‘quick’ Christmas card!!! This card didn’t end up how it was intended to! I really wanted to heat emboss the holly leaves for the background – which I did, but appeared to have an embossing powder malfunction! It just didn’t look very good atall! So, I decided to just stamp the background then heart emboss the greeting. Same thing happened – it looked awful! Obviously this was down to my poor technique – or was it because I was rushing to get it done before I left the house this morning??!! Hoping it was the latter because I love the look heat embossing creates. I don’t do nearly enough of it but obviously I need the practice! I have used Memento – Cottage Ivy and a Spellbinders circle die. 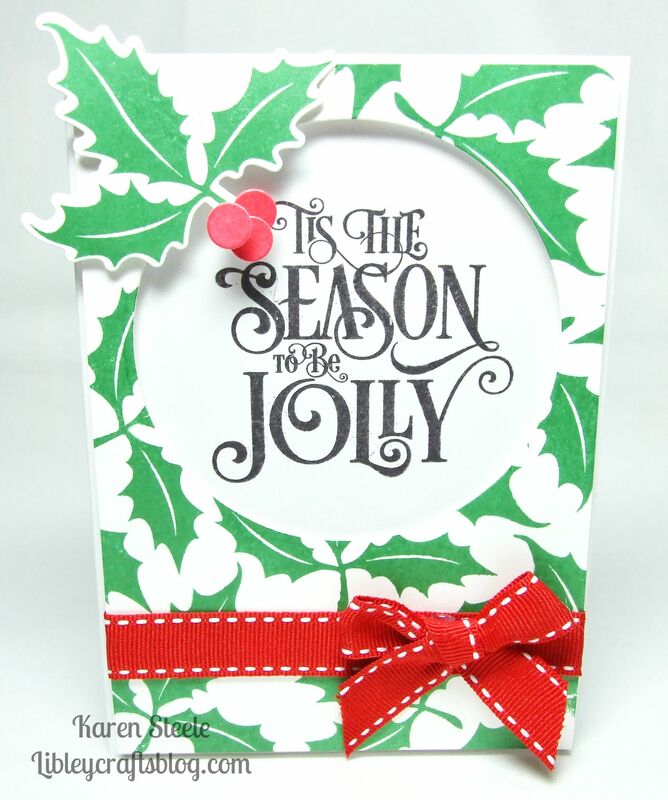 The holly stamp – from ‘Festive Foliage’, greeting stamp from ‘Tis the season’ and holly die all at Waltzingmouse Stamps. Also lots of foam pads (!) and some grosgrain ribbon. < Previous “It’s all about the Candy!”…. 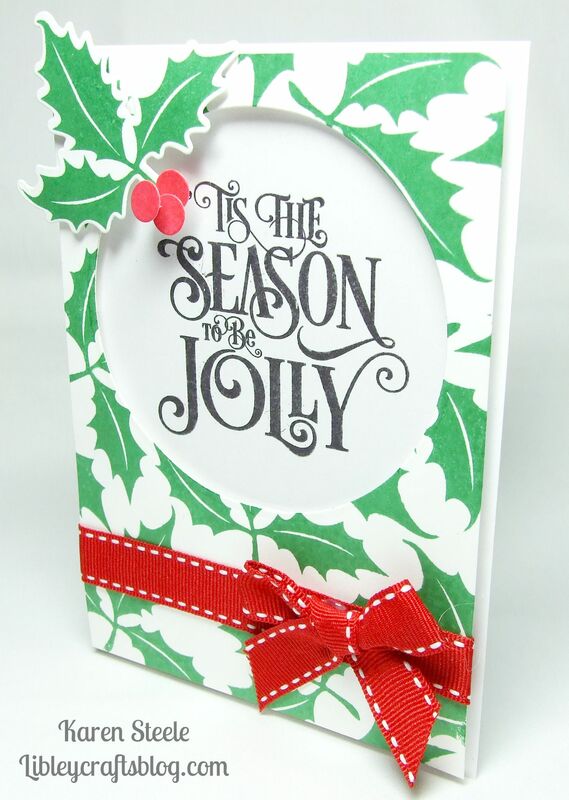 Love all the pretty holly on your card! And, fabulous bold sentiment along with lovely red bow! Very cute! I love the look and the message! I think that with embossing, the anti-static tool and a pigment ink helps a lot. Great job! Beautiful Christmas card! Love the pop of red with the ribbon!